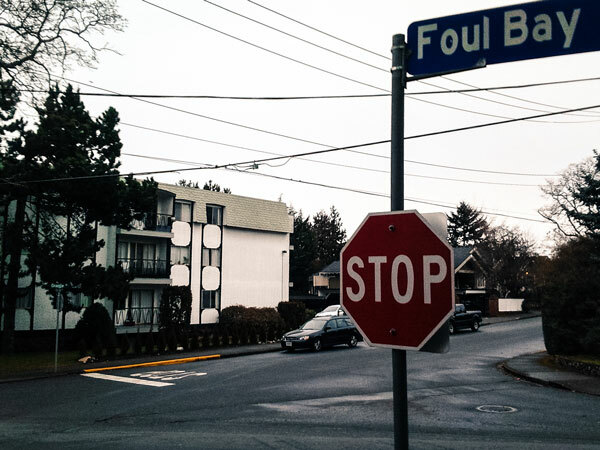 Foul Bay Road, the supposed border between Oak Bay and Victoria. Image courtesy of Casey van Wensem. 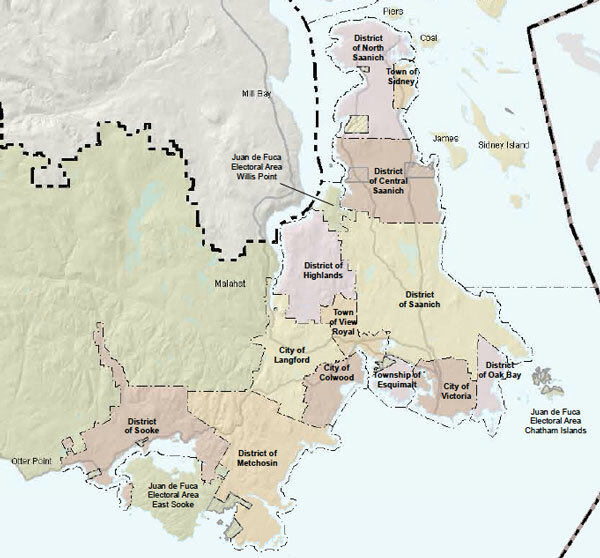 Municipal boundary map of around Victoria. Casey van Wensem is a freelance writer based in Victoria, B.C.